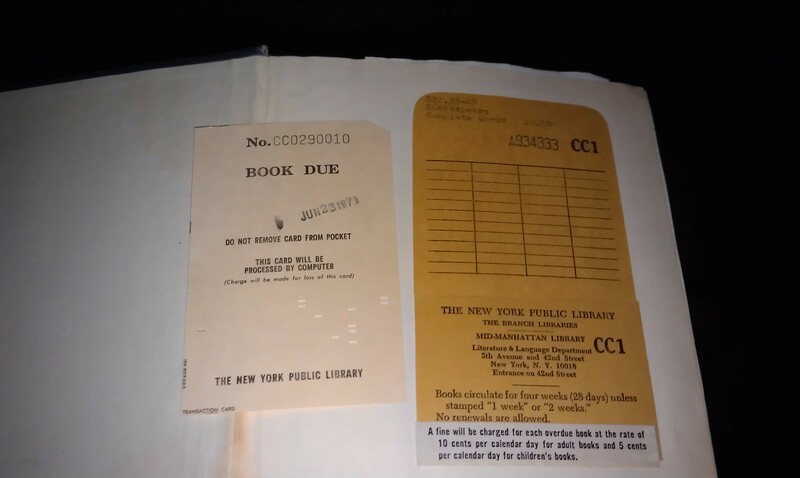 People who have read my blog for a while will remember that in June 2011 I wrote about a book taken out of the New York Public Library in 1971 which I found in Toronto. For those who don’t remember the post, here’s a link to it. As I mentioned in the previous post, the book was The Complete Works of William Shakespeare and it was due back at the library on June 23, 1971. I wrote of how I intended to take it back to the Mid-Manhattan Library: Literature & Language Department at 5th Ave & 42nd St in Manhattan the next time I was in New York City but I didn’t foresee it taking this long! I brought the book back to New York City last weekend when I went in for a family thing and boy was that huge book heavy! I swear, my bag on the way home was way, way easier to pull along on the street when I wasn’t laden down with Mr Shakespeare’s entire library. Since I was staying at friends on the Upper West Side the first place the book had to go upon returning to its hometown after leaving my bag was the New York Subway aka Metropolitan Transportation Authority. Yup, that’s right. There was a distinct possibility that they were going to try and charge me over fifteen hundred dollars for this book which had been taken out a decade before I was even born. But that was a risk I was willing to take because I felt it my civic duty as a member of the human race. I brought the book into the library at 42nd St & 5th Ave and asked a security guard where I could find the Literature & Language Department and he sent me to a room on the third floor. 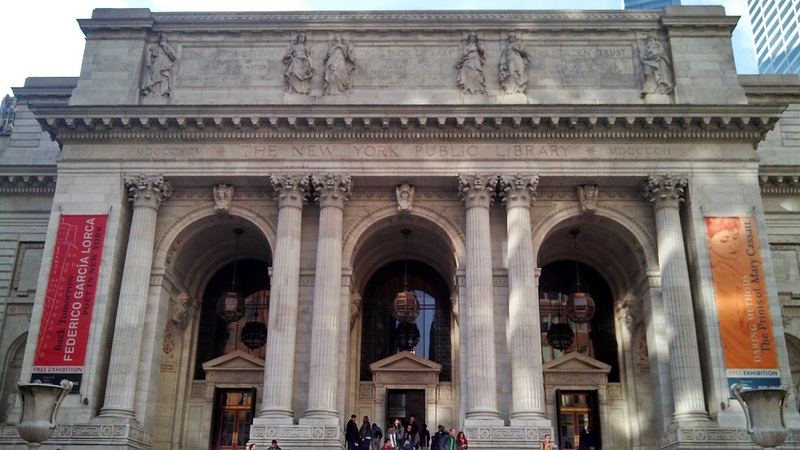 Side note: This library was like nothing I had ever been in before and next time I go to NYC I fully intend on taking a proper tour around their facility because everything about it was just glorious. I went into the indicated room and went up to the desk to a man who looked like he was likely a patron of the library the day the book was taken out in 1971 and told him my tale of my travels and of finding the book in Toronto, Canada. The guy was taken aback and kept repeating “Oh, wow!” as he examined the book from every angle. He pointed to the way the spine was partially coming off on one side of it and how the book wasn’t in the greatest condition and I mentioned how I had found the book 500 miles away in another country. He was amazed, I think, at the fact that I took the time and energy to bring the book back to where it belonged. He didn’t think the book was even in their system anymore because it was so old and had been “on loan” for so long. Even if he could find record of who took the book out of the library in the first place he couldn’t tell me for privacy reasons. However, he said, he wasn’t going to attempt to charge me for the overdue charges on the book – which was probably a great call seeing as I was prepared to argue it until the cows came home that since I wasn’t born until the early 80s I couldn’t possibly be responsible for the book. 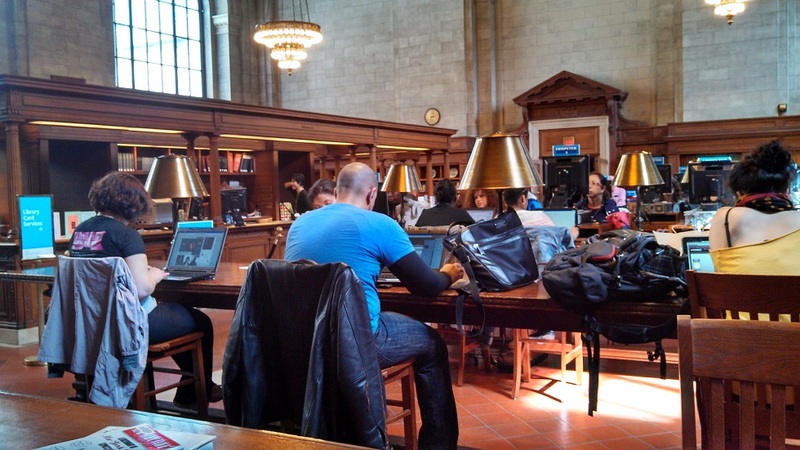 I also was going to attempt to rally all the people you can see in the above picture quietly using their laptops to my cause that I should be heralded and given a ticker tape parade through the streets for going above and beyond the call of my civic duty for even bringing the book back in the first place. Actually, it’s a pity in a way as I would’ve loved to try and stir up that group of otherwise disinterested New Yorkers just for the fun of it, haha. If anyone in New York is reading this, have a look and see if you can find the book on the shelves after the few weeks I assume it will take them to do some cosmetic work on the book and then put it back into their filing system. Two other pictures of the book from my previous post on the subject of this book. Inside the book’s front cover. Click to enlarge to full size of 3264×1952. The spine of the book. Notice how the spine on the right is very ripped? 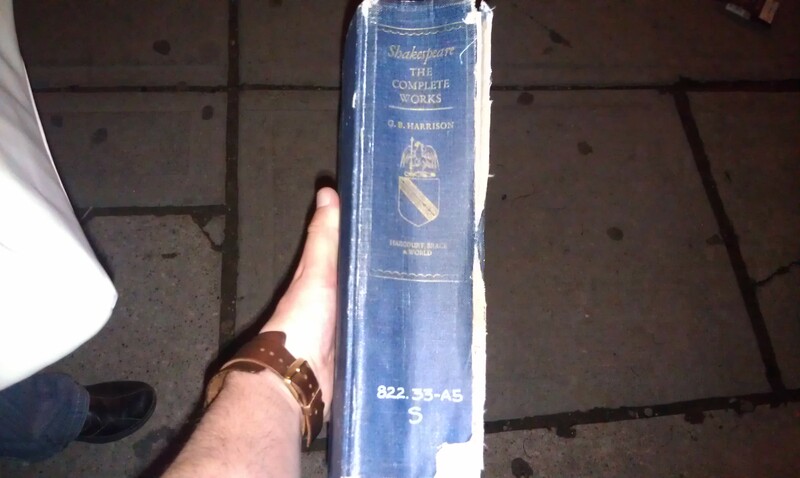 That was the “in bad condition” the librarian was referring to. Click to enlarge to full size of 3264×1952. 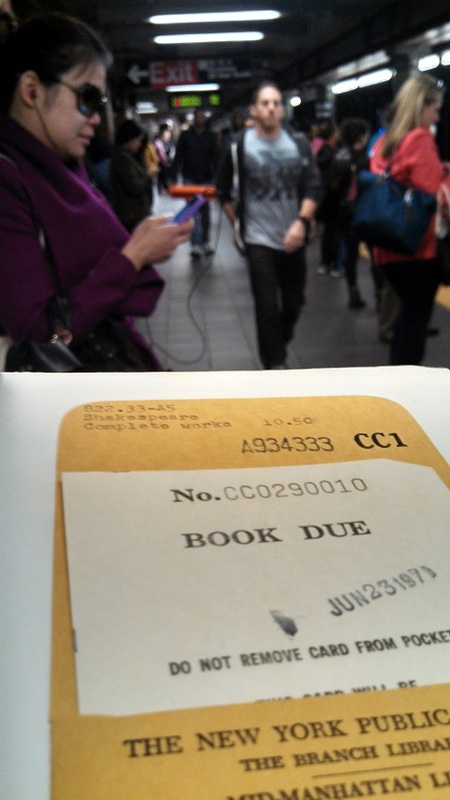 What was the longest you ever had a book overdue from the library? Let me know in the comments below! What a fantastic story! I racked up hundreds of dollars in overdue fees in University but that was a conscious decision on my part. Several times I still needed a book to complete a project but couldn’t renew it because someone else had it on hold. C’est la vie. Ouch! At my university we had to pay fines if we wanted to ever get our diplomas/transcript…did you bargain with them to lower costs? Us too – otherwise I wouldn’t have paid them! I never tried to bargain (I just paid online) but I’ve heard possible. I know a guy who supposedly parked wherever the heck he wanted to for his entire law school degree at York U and got tons of tickets. Story goes that when it came time to graduate they wanted $2,500 from him. He said not happening and they ended up agreeing on $1,000 which is WAY less than one pays for 3 years worth of a parking pass. Repurposed Art Deco Allenby Theatre On The Danforth: Exploring Toronto Part VIII Official imgur for Android App Beta Released in Canada!!! W00t! W00t!